Rectory Wood - Place to Unwind at CranfieldForest or WoodlandRectory Wood is 70 hectares (173 acres) of former arable farmland covering the slopes between Cranfield village and the ancient woodland of Marston Thrift. This farmland was purchased in 2002 by the Marston Vale Trust using funds raised from many sources, including the local community. It will be an important natural space for the growing population in this part of the County to enjoy. Rectory Wood is 70 hectares (173 acres) of former arable farmland covering the slopes between Cranfield village and the ancient woodland of Marston Thrift. This farmland was purchased in 2002 by the Marston Vale Trust using funds raised from many sources, including the local community. It will be an important natural space for the growing population in this part of the County to enjoy. 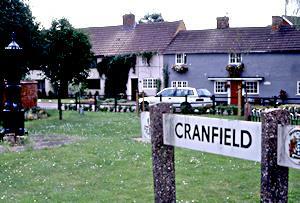 How to get there by car/parking: From the A421 or A422 follow signs to Cranfield. Rectory Wood is to the east of the village, off of Court Road which can be reached from Cranfield High Street. Limited street parking is available - please park thoughtfully and carefully.